Zane is set to produce and play the lead in Waltzing With Brando, the biopic about Marlon Brando based on a memoir of the same name by Judge, according to Variety. The film will be set primarily between 1969 and 1974, the period in which Brando struggled with relevancy through a string of forgettable flicks like Burn! and The Nightcomers before he revived his career with his iconic performance in The Godfather and the polarizing Last Tango in Paris. The memoir tells the story of how Brando plucked Bernard Judge, an obscure but idealistic Los Angeles architect, from his stable existence and convinced him that he should build the world’s first ecologically perfect retreat on a tiny and uninhabitable Tahitian island… The action will show Brando’s interaction with Judge as they spend time together on the island and work up plans for a paradise getaway far from the public glare at a time when the actor was one of the most famous people on the planet. Bill Fishman is set to write and direct Waltzing With Brando, which reunites him with Zane after they worked together on the 1993 Western Posse. So far Zane is the only actor cast in the film, though Variety reports that additional casting is underway, notably for the role of Judge. While Zane currently has the look down, he just needs to nail that iconic voice. 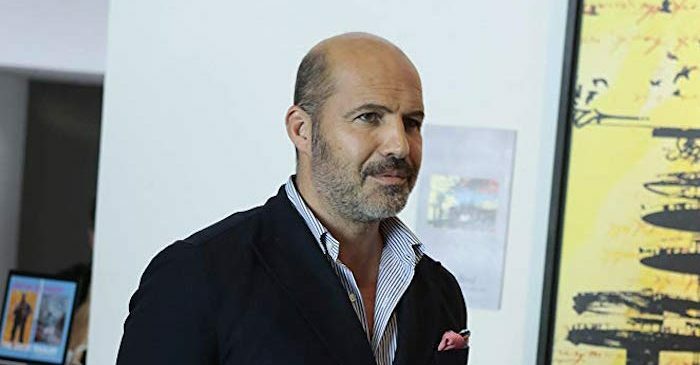 The post Billy Zane to Play Marlon Brando in Biopic ‘Waltzing With Brando’ appeared first on /Film.